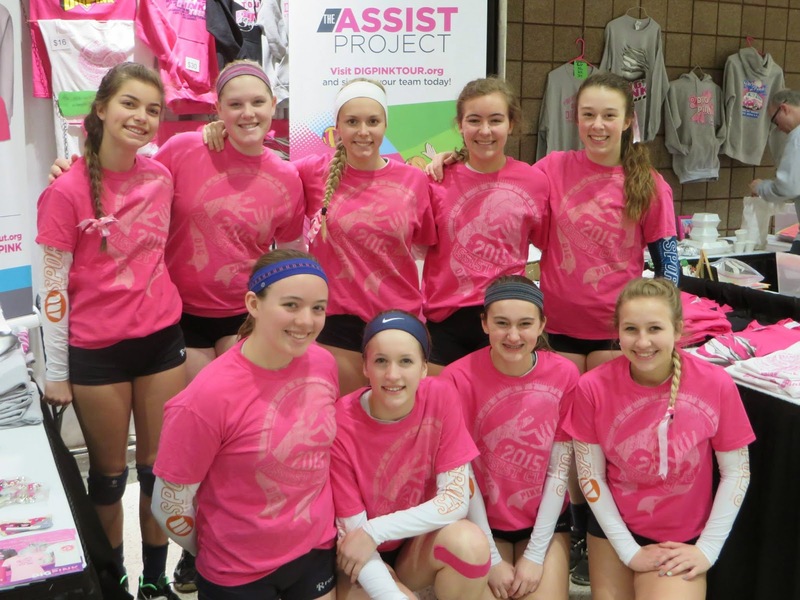 The JVA World Challenge was The Side-Out Foundation's last stop on the 2015 Dig Pink® Tour, and a weekend in Louisville was the perfect way to finish the season! We met wonderful people, saw some awesome volleyball (even if we just had a few minutes to wander the courts), and raised more funds to support the Side-Out Protocol. Several teams stopped by to drop off cards they had made for patients with cancer, and others created cards at a table set up in our booth. Every team who submitted cards was entered into a raffle with prizes given by JVA supporters. Congratulations to Alliance Volleyball Club 15 Molten, the raffle winner! These cards are part of The Assist Project, the newest initiative of the Dig Pink®Tour. 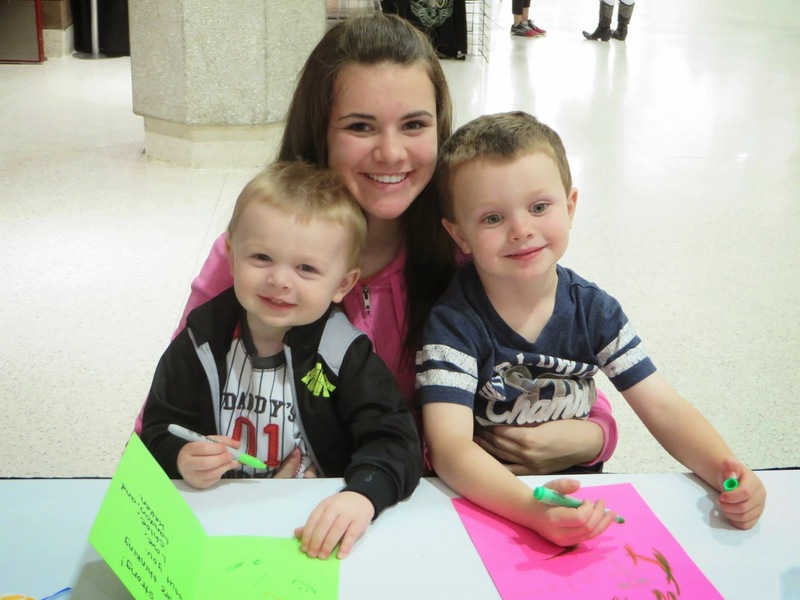 Since January, volleyball players and supporters across the country submitted approximately 4,000 cards and raised over $75,000. 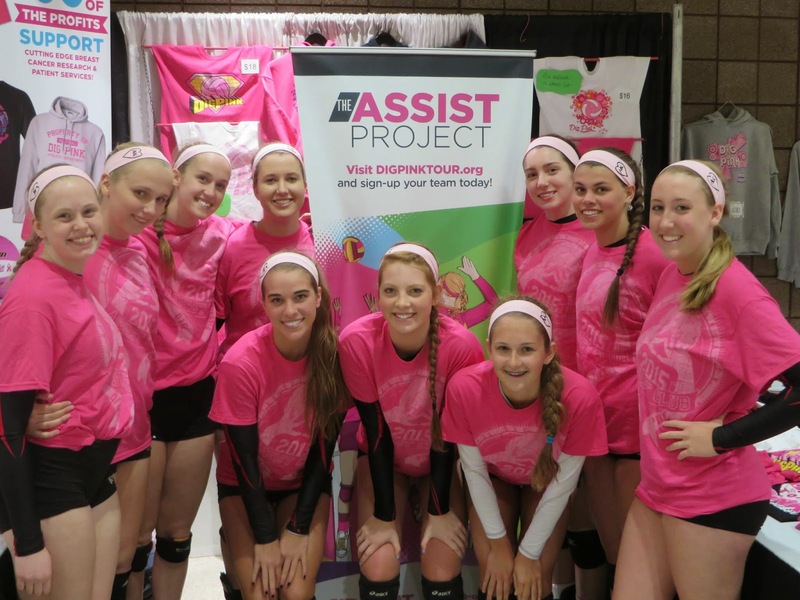 The top JVA World Challenge fundraising teams were announced the first day of the tournament, and those three teams are the 2015 Side-Out/JVA National Dig Pink® Award winners! CONGRATULATIONS to the following teams!! 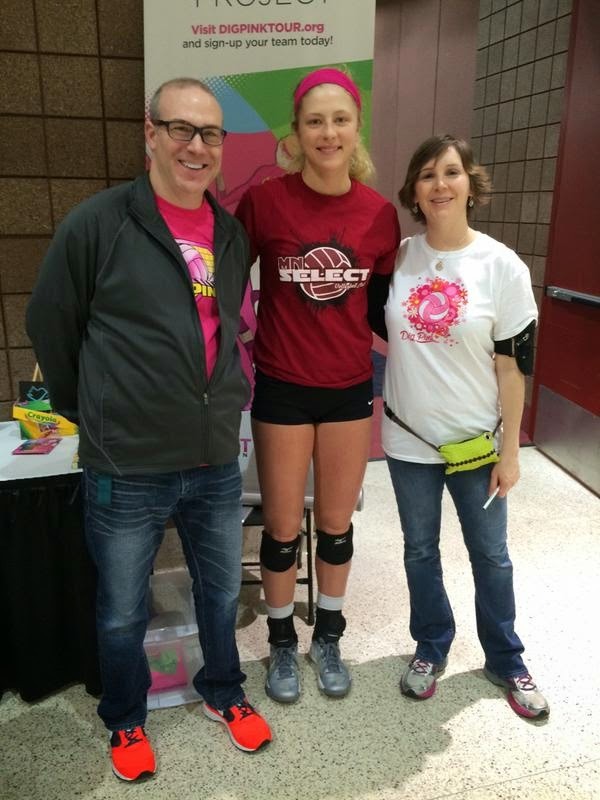 One of the highlights of our weekend was meeting Hannah Bailey, a player for Minnesota Select and a 2014 Side-Out ambassador and scholarship winner (and recently named one of Volleyball Magazine's Fab 50!). Side-Out ambassadors are Dig Pink® supporters who not only organize and host events, but also spearhead fundraising and breast cancer education. We don't often get the chance to meet the students in person, so it truly was an honor to see Hannah in Louisville! We also had the opportunity to sell some Dig Pink® gear, which is always fun! Thank you to everyone who stopped by to say hi and/or buy some goodies. One hundred percent of the profits benefit The Side-Out Foundation, helping us move forward with the Side-Out Protocol. If you missed us or you want to add to your Dig Pink® collection, you can shop online at shopdigpink.com! We loved seeing so many people sporting their pink on Saturday. We posted a photo album from the weekend...if you see someone you know, be sure to tag them! 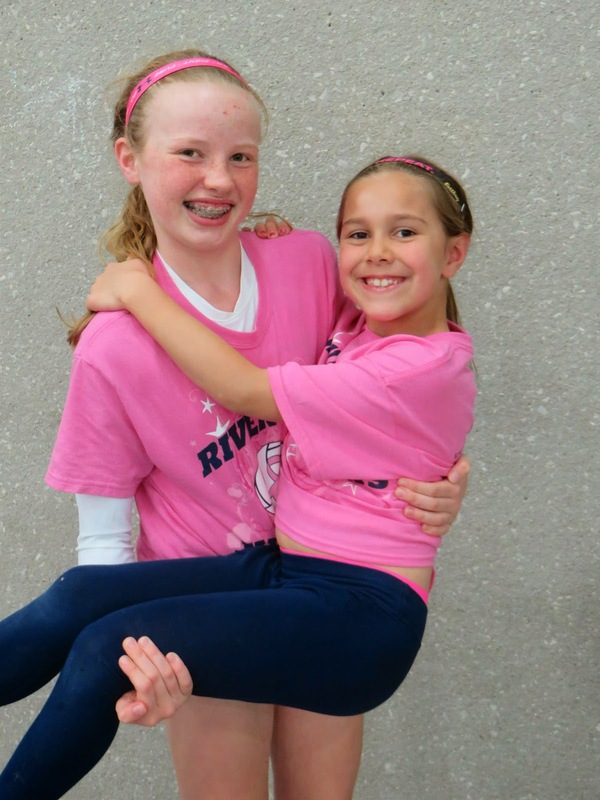 If you have any Dig Pink® photos to share, send them to photos@side-out.org and we'll add them to the album. We hope you too had a wonderful time in Louisville! Tournament weekends can be tiring for everyone involved: players, coaches, officials, spectators, vendors and tournament directors. Despite the fatigue that is sure to set in at the end of the weekend, it is so wonderful to be surrounded by people who love our sport. You see old friends, make new ones and are reminded just how special the volleyball community is. The Kentucky Expo Center was full of positive energy, and though the competition was fierce, the camaraderie was apparent. Thank you to all who helped to make the event a success. We'll see you next year! The Side-Out Foundation is the official partner of the The Junior Volleyball Association. For more information about the JVA click here.